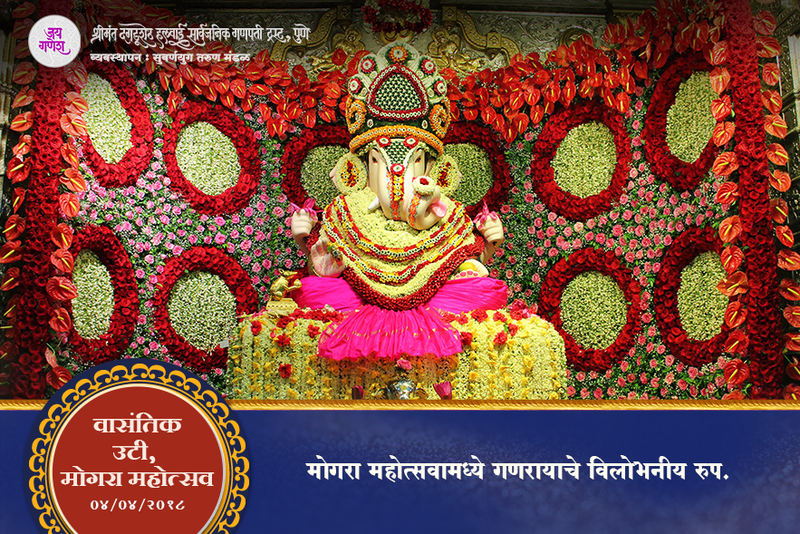 It is a custom at the temple to worship Shri Ganapati by applying ‘Vasantik Utee’ ( fragrant paste of sandalwood) to the deity. 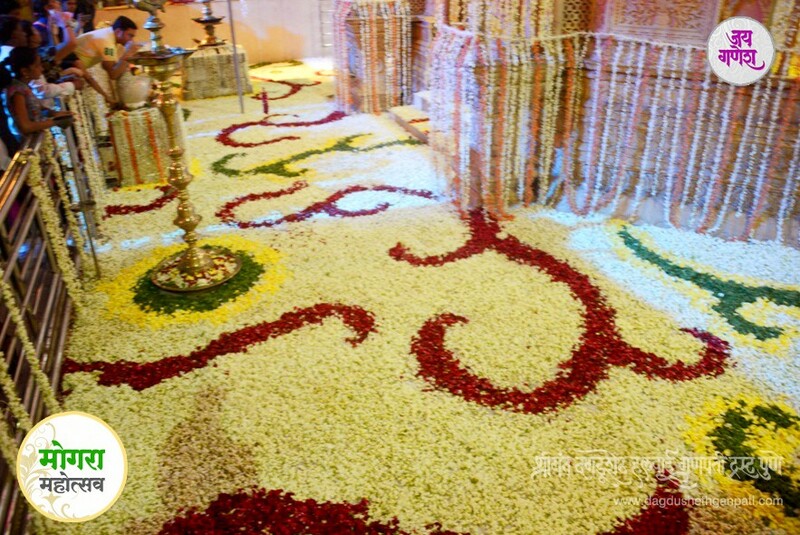 The Vasantik Utee is made from authentic sandalwood powder and fragrances specially ordered from Mysore. 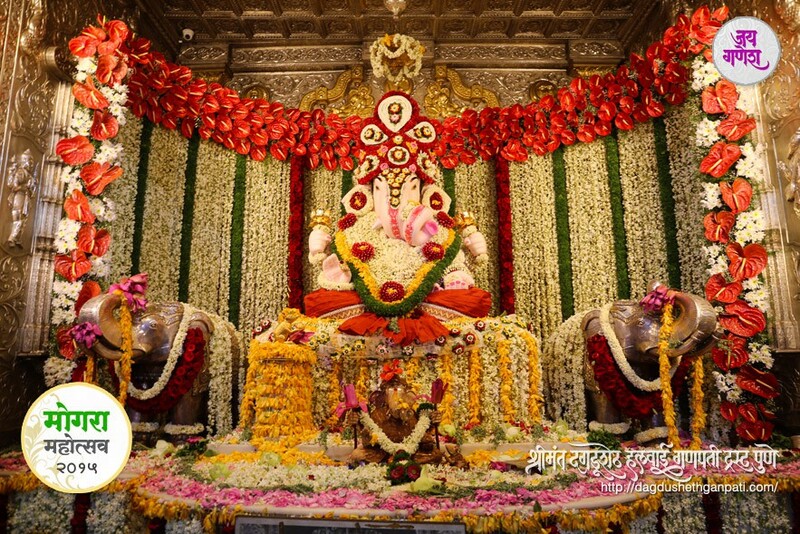 It is applied to the silver figurine of Shri Ganapati. 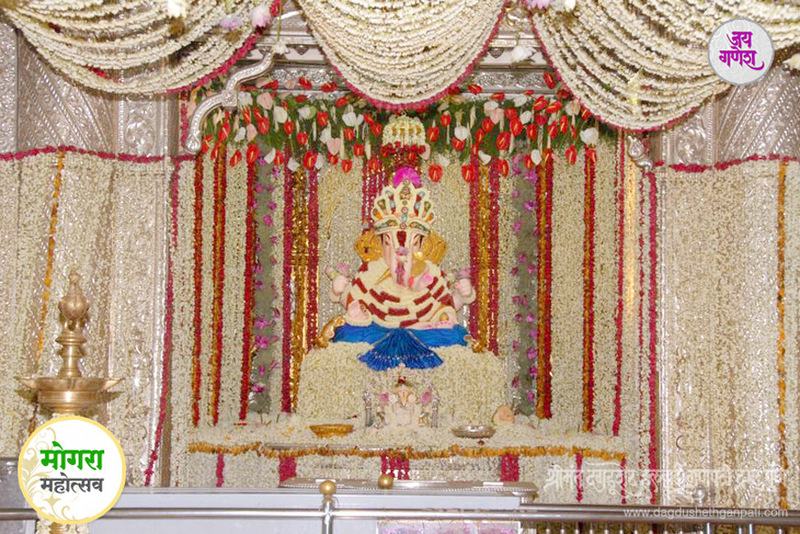 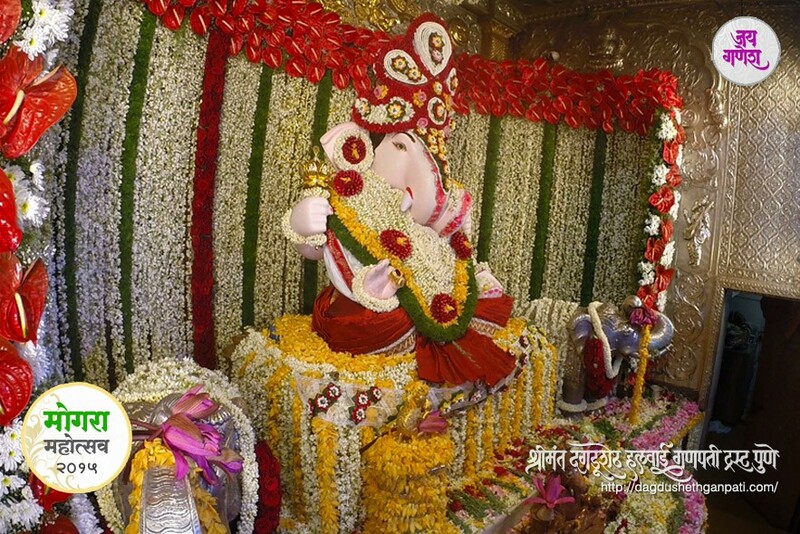 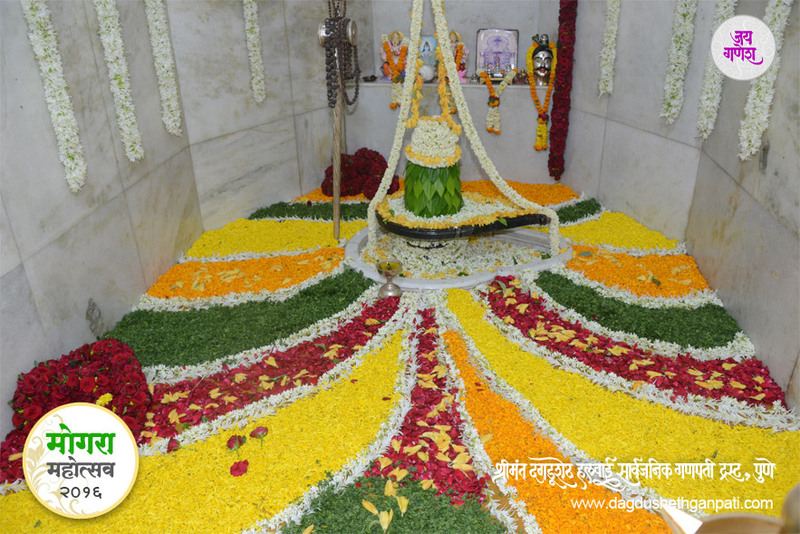 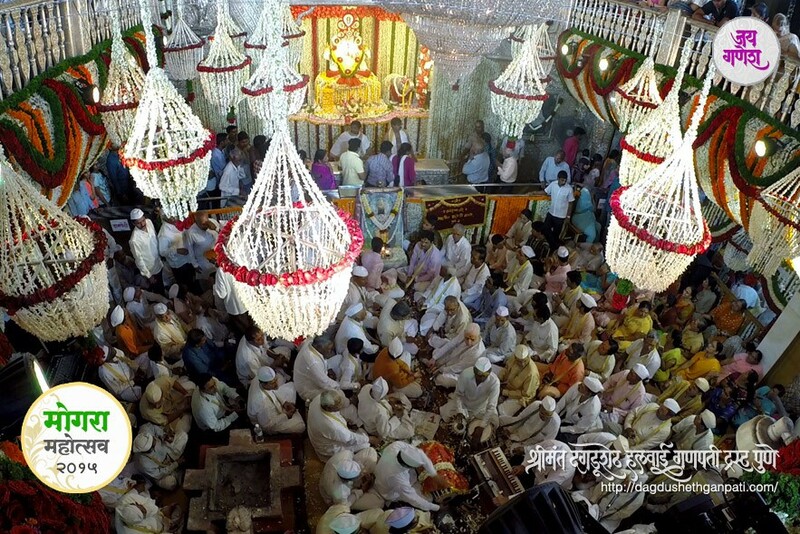 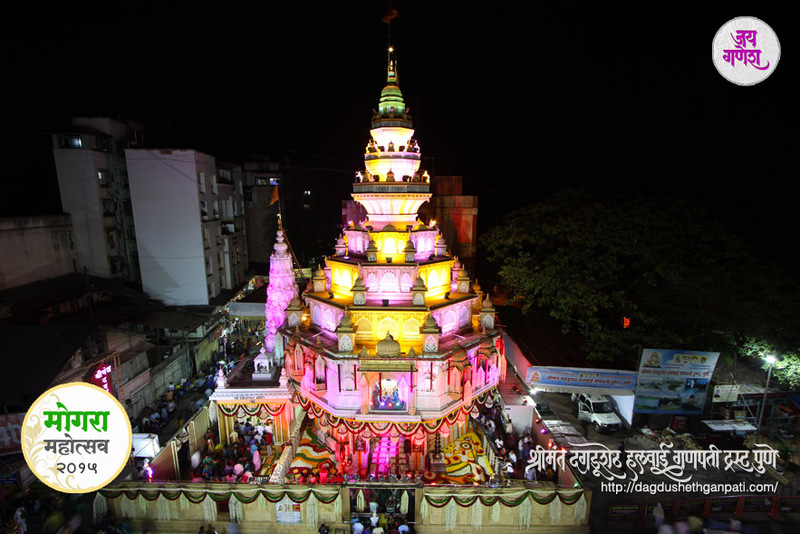 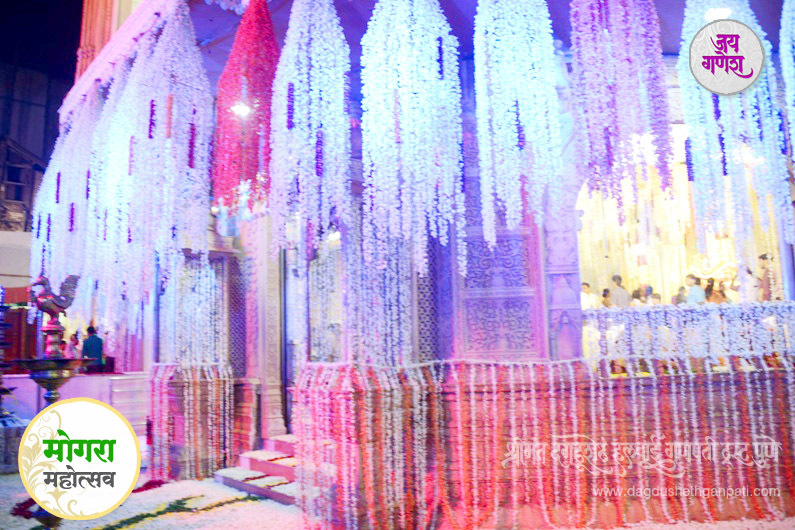 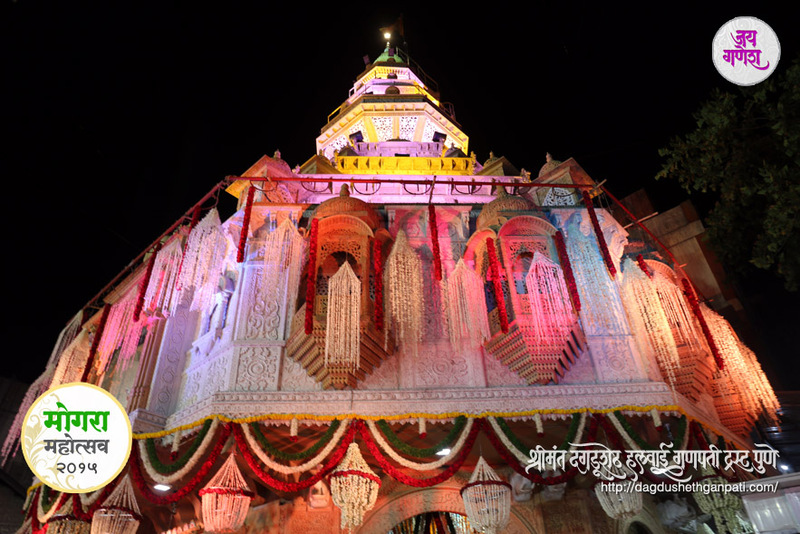 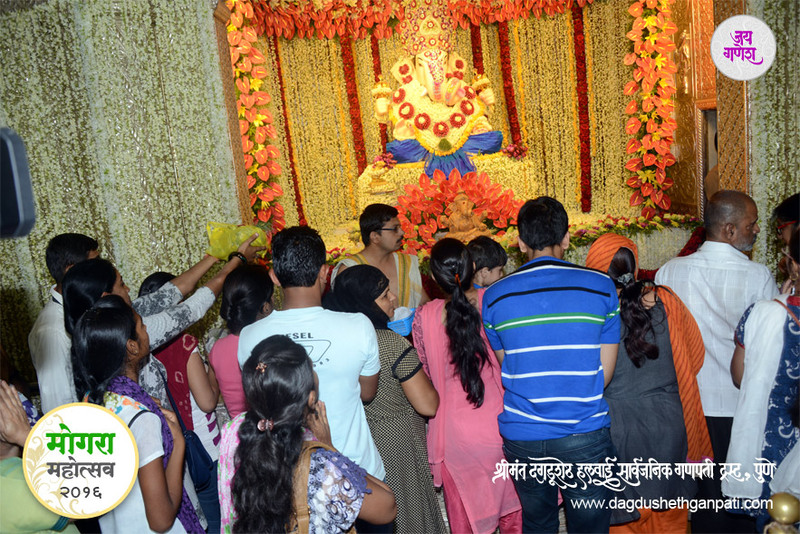 As part of the custom, the deity is showered with about ten million flowers of ‘Mogra’, a native fragrant flower. 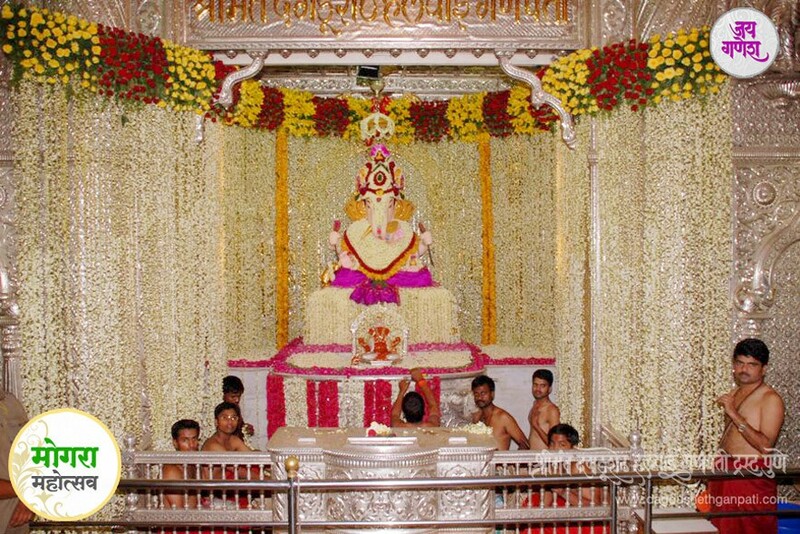 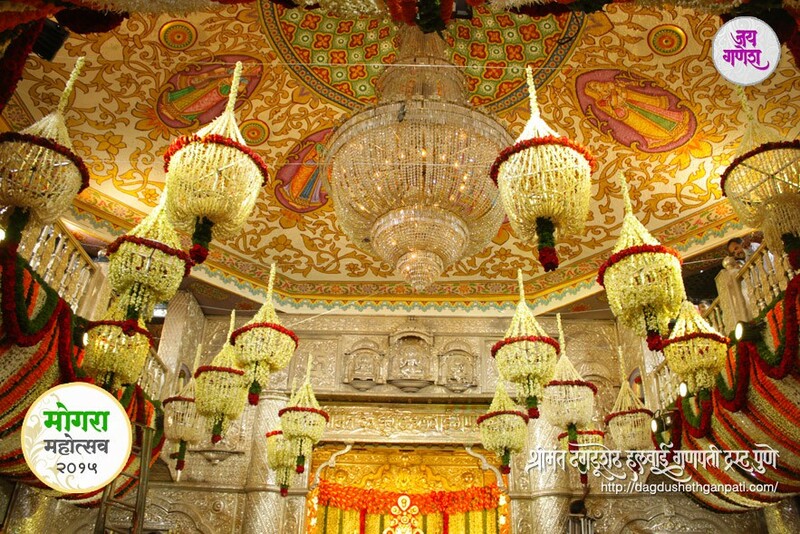 The temple premises are filled with the mesmerizing fragrance of sandalwood and Mogra flowers. 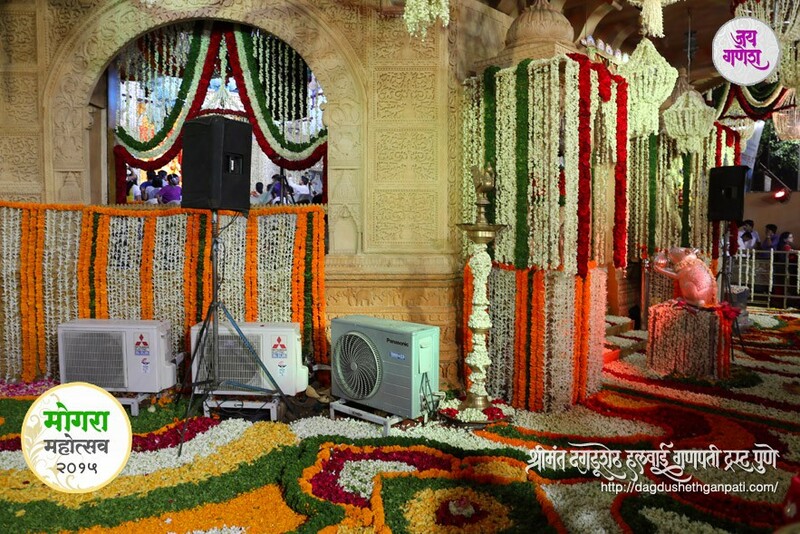 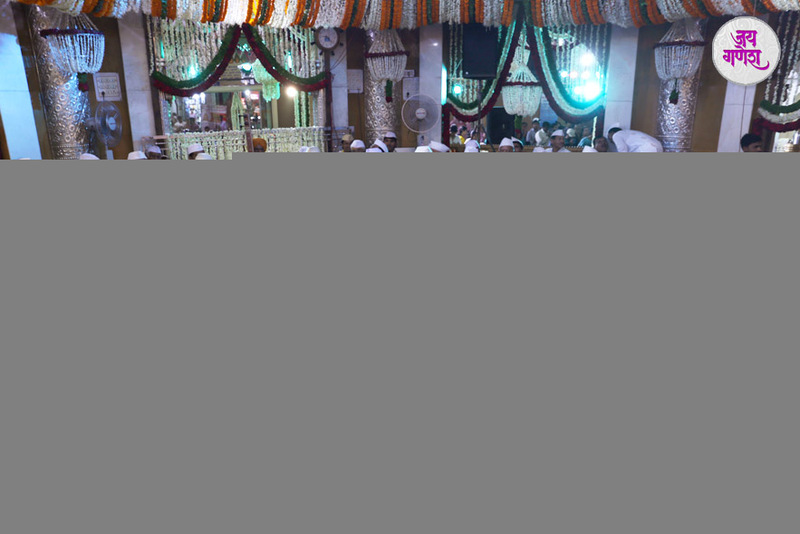 The sanctorum, walls, pillars, and all the parts of the temple are heavily decorated with Mogra flowers which abound in the season. 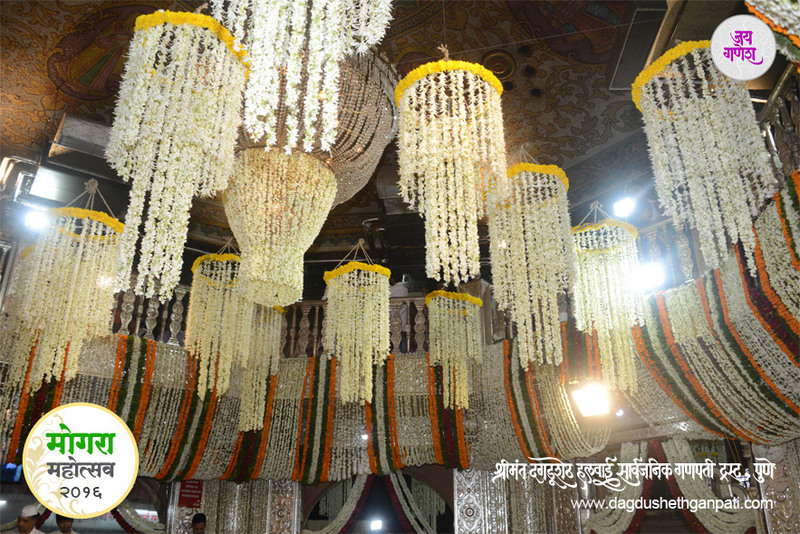 The beautiful scent and the snow white artistry in flowers create an ethereal atmosphere and fill every heart with sublime joy. 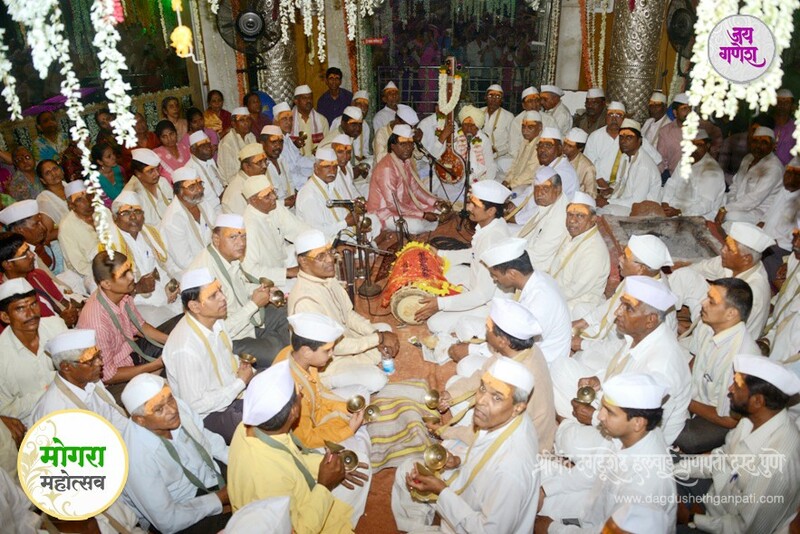 The priests apply ‘chandan tilak’ on the forehead of each devotee that visits the temple. 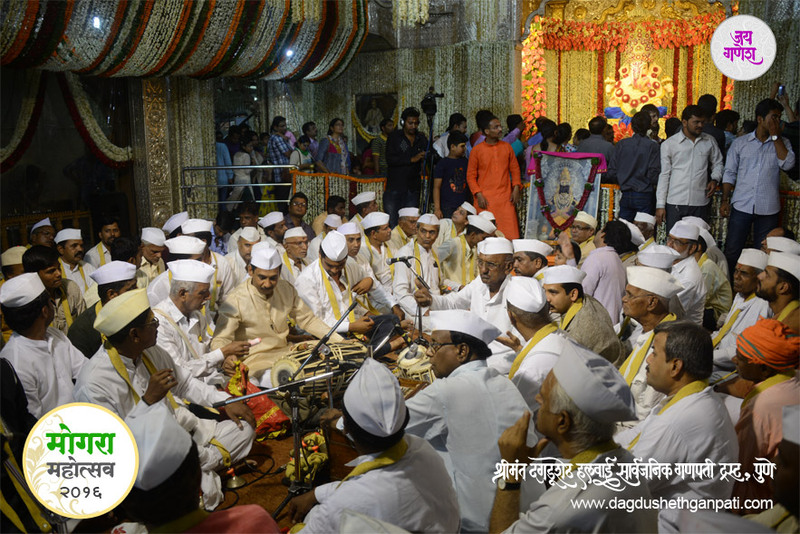 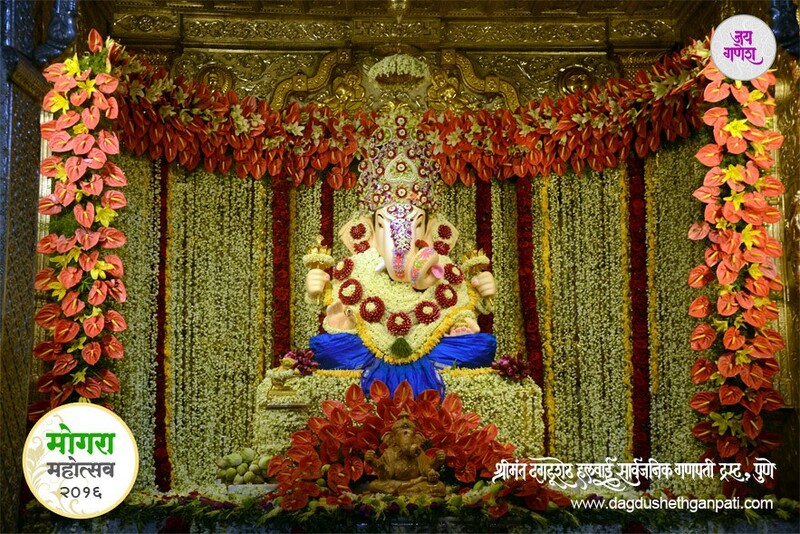 The entire temple is filled with the sound and rhythm of auspicious chantings and invocation of Shri Ganapati. 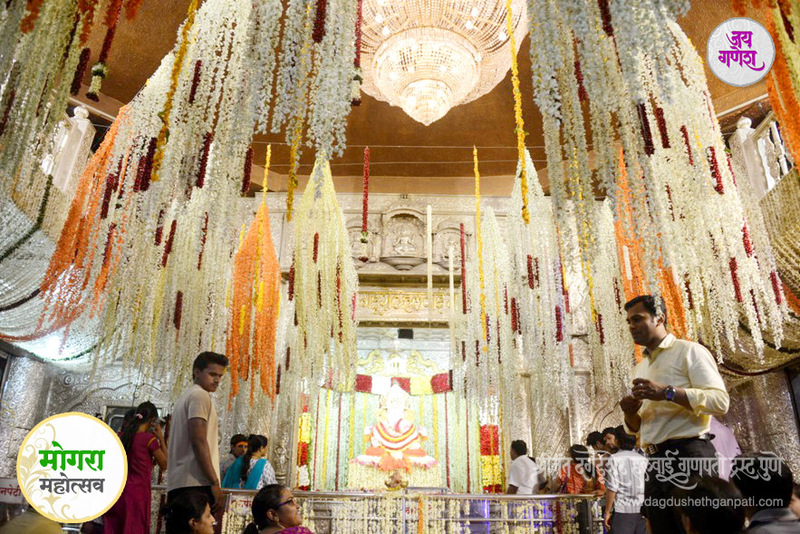 Intricate decoration with thousands of delicate, fragrant Mogra flowers, along with Juhi, Champa and other varieties, and the sandalwood utee make the place almost dreamlike. 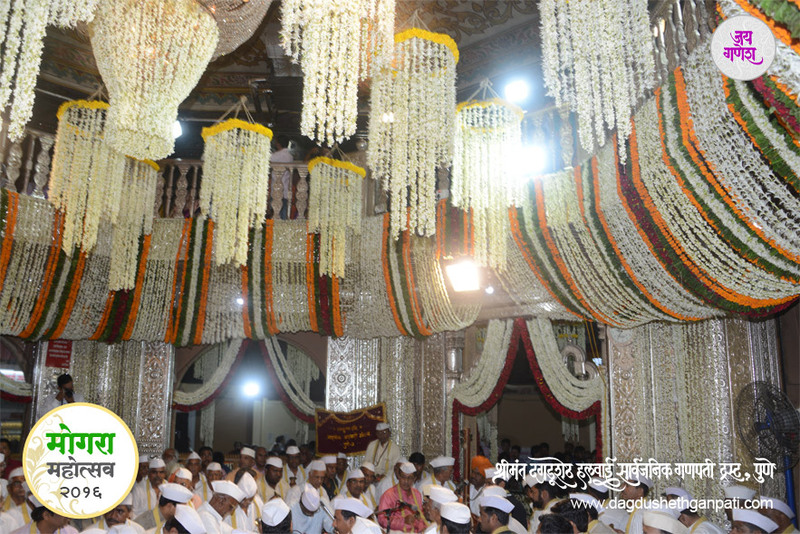 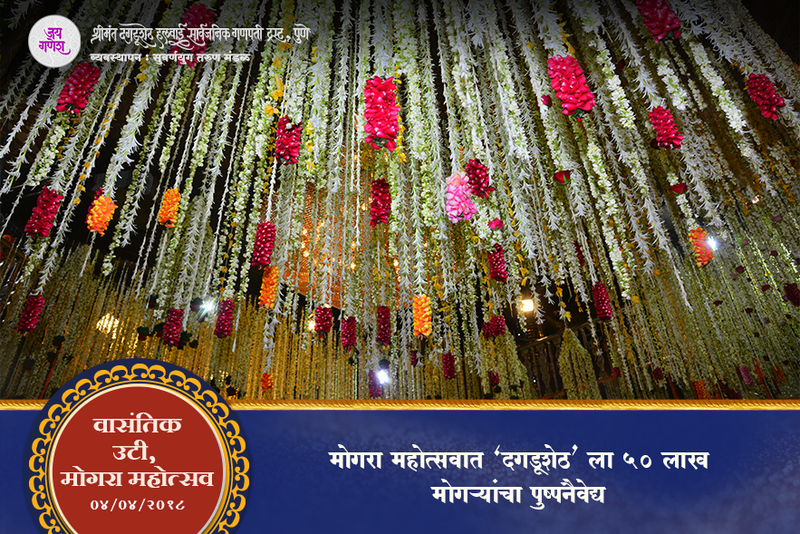 Awed Punekars, take away with them the fragrant memories of this occasion to cherish for a long time to come.